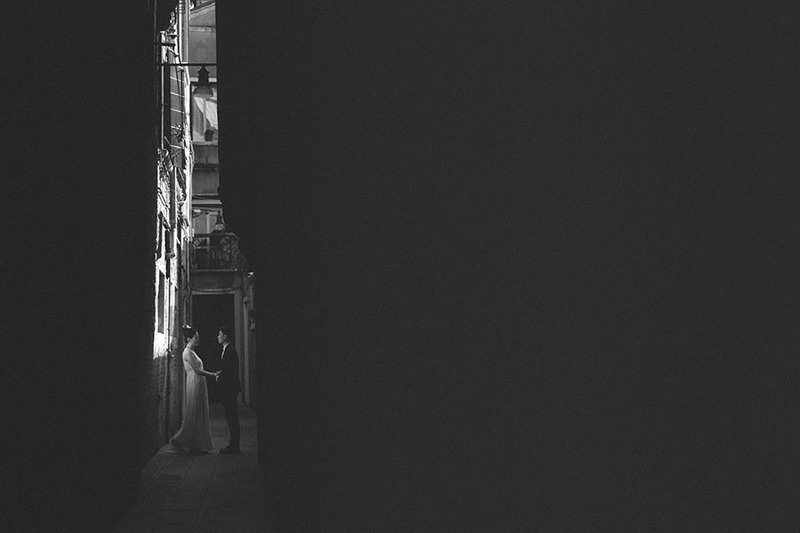 This is Cindy and Heming’s first time in Europe, and we are showing you their engagement shoot in Venice, Italy. The first impression we had looking the smile of this couple was a real sense of proud: they just got fascinated about the beauty of Venice, they were never stopping looking around. Cindy and Heming make a lovely and very romantic couple from Guangzhou, a big metropolis in South China, where they live and will get married on 1st of May. Before their wedding, they decided to have a little adventure around Europe, they booked the tickets to Italy, France and Spain to visit Rome, Florence, Venice, Paris and Barcelona. 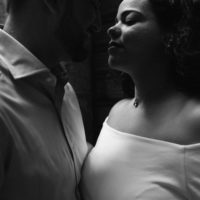 We met them in Venice for a lovely engagement photo session. 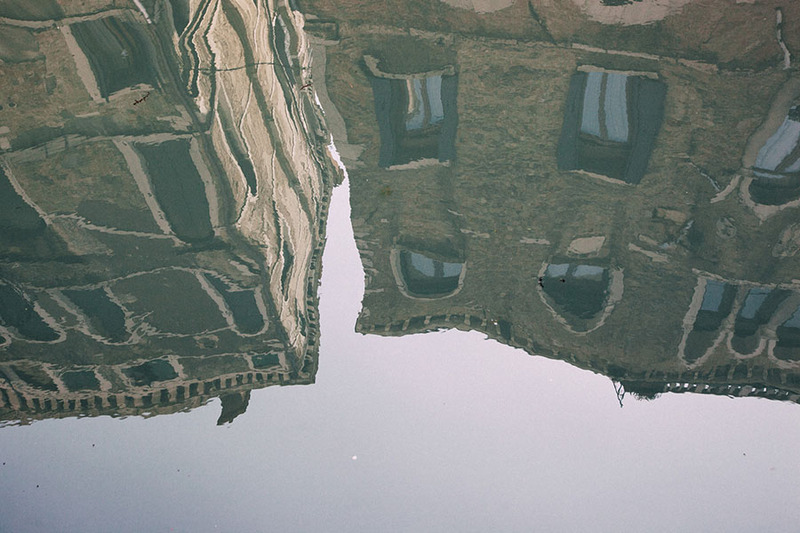 We have been lucky enough to pick up a perfect sunny day that allow us do enjoy an amazing walk in Venetian labyrinthine streets, lined along the canals, where gondolas, the typical Venetian boats, flow. It was such a great day, accompanying them in this discovery of Venice, they told us about how they met and fell in love and about their plans for the future, but of course also about their culture and traditions. We always love to be in this city. It’s one hour and half far from where we are based and we always reach it with a fast train. Having an engagement photo shoot in Venice is a real pleasure. This is one of the most unique city in the world, and you instantly have these feeling when you see it for the first time because you are hit by a Gothic and Renaissance style everywhere. As many important cities in Italy there are different touristic spots and main attraction you have to see; in our philosophy we always prefer to get lost in some minor street that a few people know. Venice is a very touristic city and its beautiful, what we would need is find a quiet place and enjoy the atmosphere it has to offer. 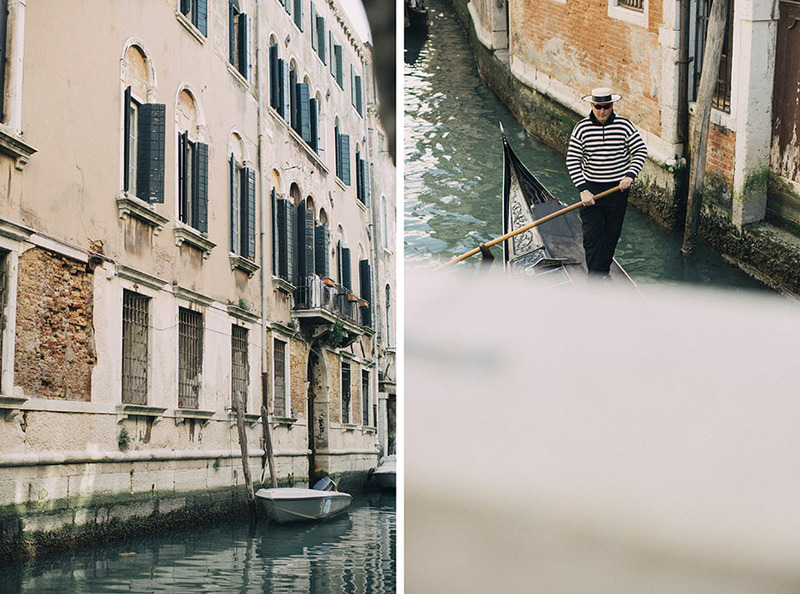 We always prefer to start our engagement shoot in some little and empty street: the water makes a gentle sound through the canals, some gondola arrives, and the sun shines and floats in the sea. With Cindy and Heming we had a walk around the city discovering memorable places, and arriving also to Piazza San Marco, The Gran Canal or Rialto Bridge. We stopped around some canals, some little bridge, we enjoyed walking in the crowed part of Venice and also get lost in his roads. It ha been a lovey day, a perfect engagement photo shoot in Venice, specially thanks to their young and funny spirit.